Custom yard or lawn signs – as the name implies, are installed in front of a property – serve diverse intentions: from informative and advertising to directional. Realty signs – convey simple messaging yet amazing exposure and impact – drawing in potential clients like a magnet! The high visibility that custom bandit signs provide, makes them a can’t-miss addition to any property, political or business promotion. Being an experienced LA-based sign making company – Front Signs knows the deal in making exceptional custom yard signs. We understand the needs of different businesses & individuals -and- are here to offer a plethora of different styles and types of yard signs to meet all your unique requirements and challenges. These tailor-made and high-class yard signs – cost-effective yet highly powerful promotional tools – are typically made of such materials like: aluminum, vinyl banner, coroplast and PVC. 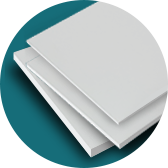 Among these – Coroplast or corrugated plastic – is perhaps the most common go-to material for political and real estate lawn signs due to its waterproof and smudge-resistant features, which makes it the ideal display meant for 24/7 outdoor applications. The lawn displays are available from large to small, standard to custom shapes and thicknesses, with diverse installation options. Added to this, the two-sided print option of yard signs – flawless signage solution – makes your message pop up and reach your target audience. 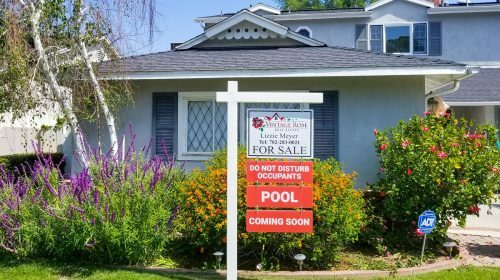 Real estate signs are a sound investment for realtors all around LA. 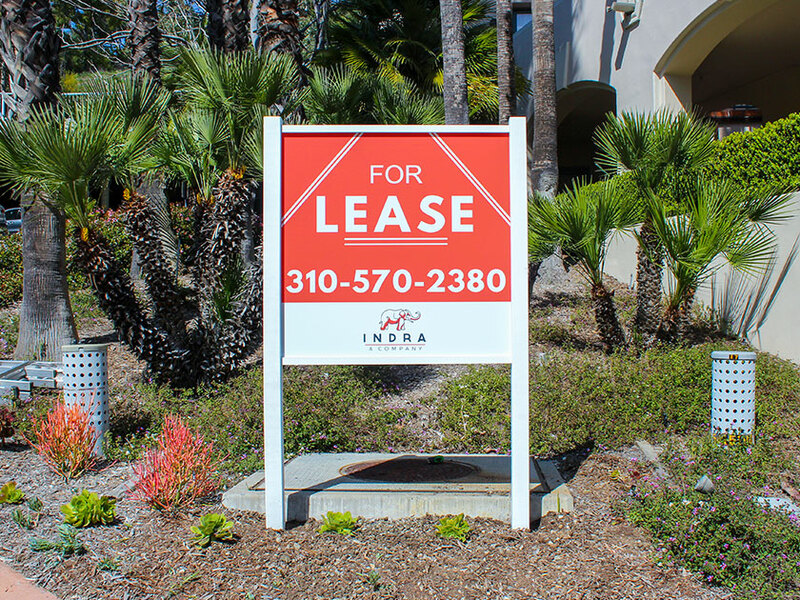 If you are leasing or selling your property, then realty yard signs are a tried-and-true advertising medium you need. 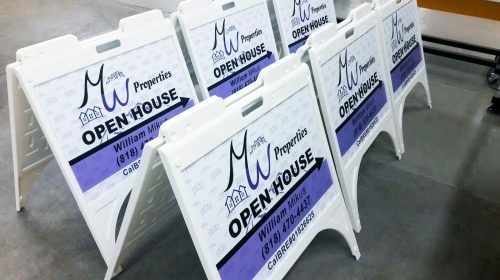 Although custom real estate signs serve one objective - promote the property that is up for sale - the purposes of such signs, naturally, vary depending on your goals: “For Sale”, “For Rent”, “Open House”, “For Lease” and “Sold”, etc. 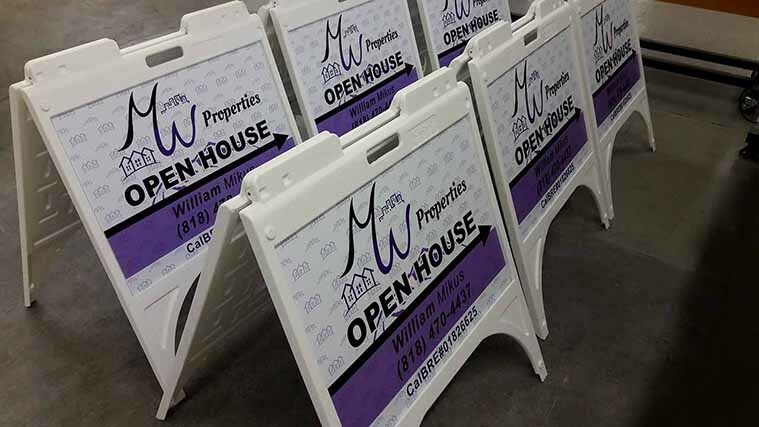 Real estate yard signs are proven to be the most effective types of property promotions due to taking little space, while still providing high engagement -and- subsequently a great number of clients. 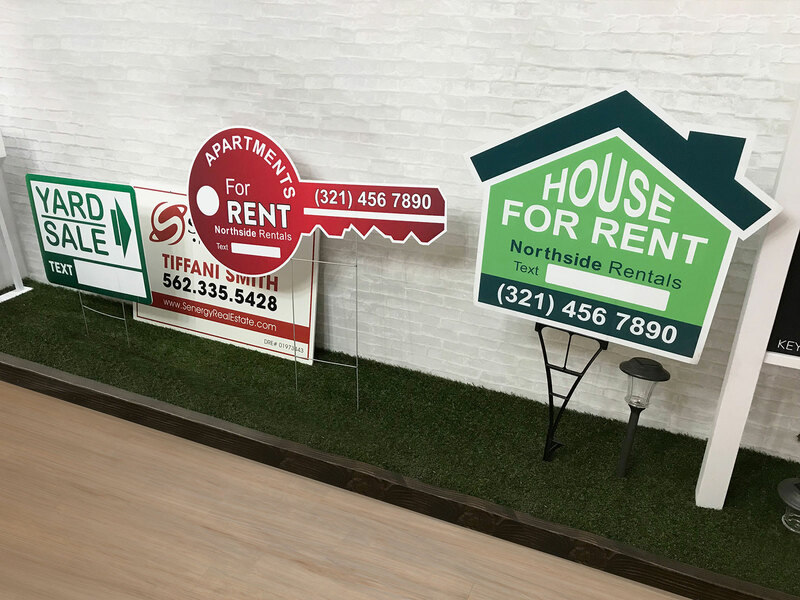 You can get realty signs in your desired color, but bright colors like red and green are more recommended to immediately attract attention as they are proven to be much more noticeable from afar. Have the name of your real estate agency and contact details displayed on a realtor sign to let potential clients know who to get in touch with if they’re interested in the property. 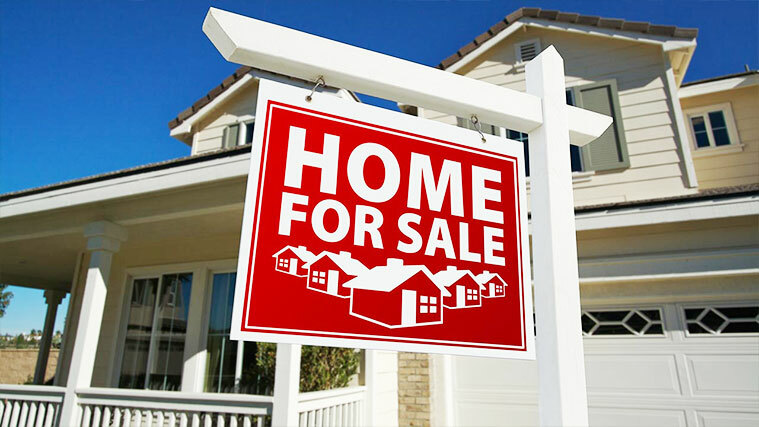 Most noteworthy, apart from the mentioned types and styles of real estate signage, Front Signs also offers agent promotion signs & banners, realtor agency office signs & billboards and advertising flags. For sale by owner and realtor yard signs are found in every district in America, making estate signage for homes & condos and offices a superior outdoor advertising tool. Real estate home-for-sale signs are used to promote the property agents represent. With its valuable information, it is the result-pulling advertising medium for all owners, private realtors and estate companies there are. 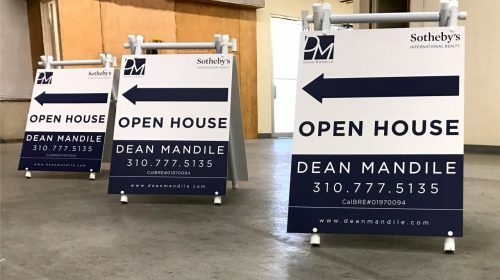 Real estate open house signs is yet another preferred method for sale of a property by many real estate agents and owners. Placed at the edge of a lawn, or a driveway - these oldest means of real estate signs effectively grab the attention of the prospects in a second. 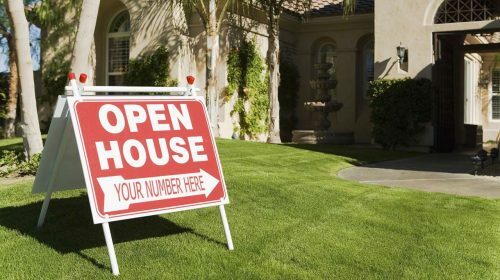 Furthermore, open house signs and banners are meant to promote private or commercial estate to qualified leads. However in case of open house signs, the brokerage agent or the owner specifies a certain time and date for the clients to come and have a look on the property. 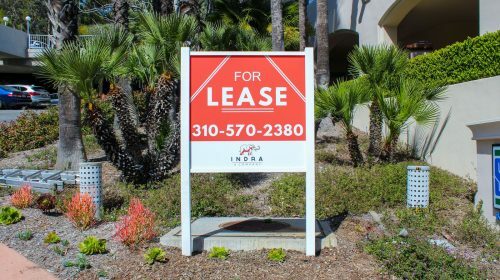 Custom For Lease signs - proven and affordable advertising tool, helpы thousands of American property owners and real estate agencies lease their property to reach out to customers and inspections, of course. 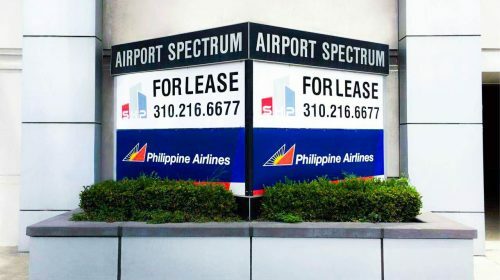 With our unparalleled experience in designing the real estate for lease sign, we offer graphical solutions which encourage competitive offerings best suited the scope of the area and target audience. 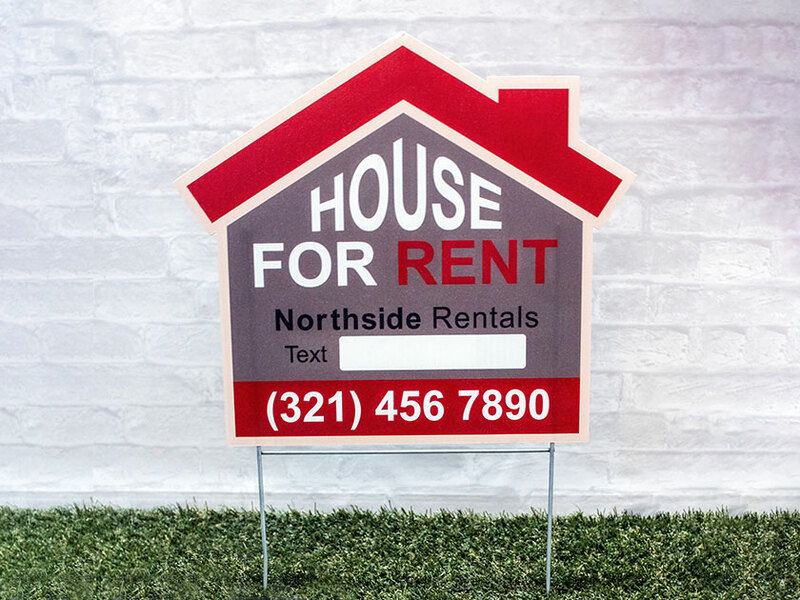 Ideal solution for homeowners and realty agents, for rent sign - with bold messages, good color contrast and ideal placement - is effective tool geared up to aid in promoting your property rentals and draw in potential clients towards your residential or commercial property. Being a totally customizable medium it shows off your property in highly critical areas under the clear view of the drivers and passersby. Coming-Soon realtor signs are the industry standard just for this reason - they do work! A bold, bright design catches the eyes of the potential leads, announces a new property is here. 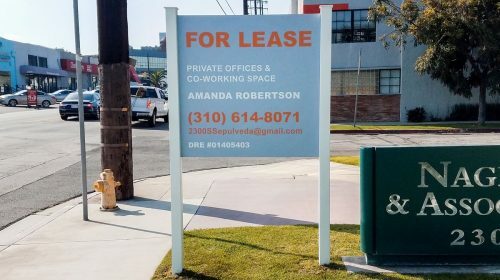 It gets the word out about the available space or a new business way before it opens up. It’s a great medium to notify the early adopters and add a splash of curiosity and interest in your property. 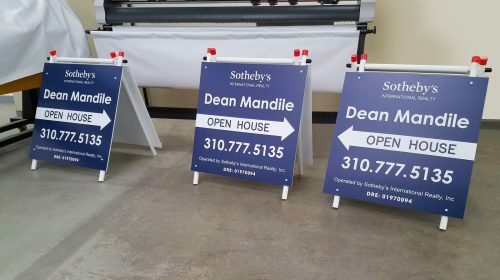 The home seller and the realtor agent go to great lengths to grab the attention of potential customers - so spending extra bucks on custom “sold” sign can skyrocket your efforts! 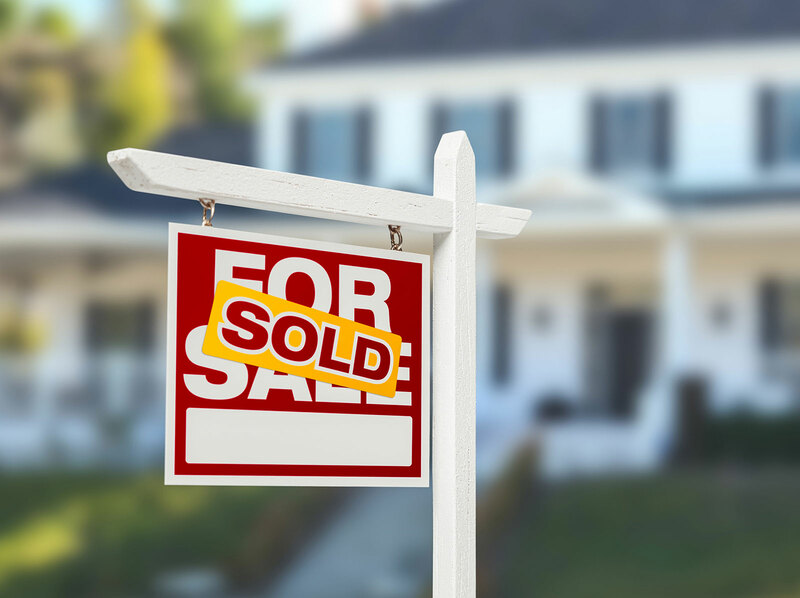 And finally, realtor agents or homeowners use “Sold” signs, headers or “sold” decals, the purpose of which is clear - to identify the property as already sold. 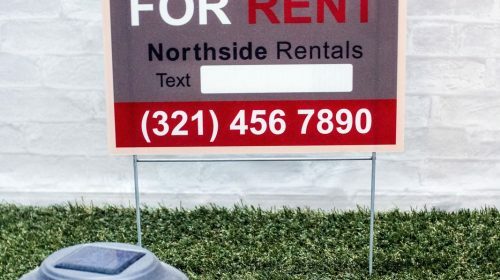 Front Signs - being a sign-making company of choice for over 5, 000 customers in LA - offers a variety of political yard signs - and - we strongly believe we can make yard signs which will fit all of your campaign signage needs & requirements. 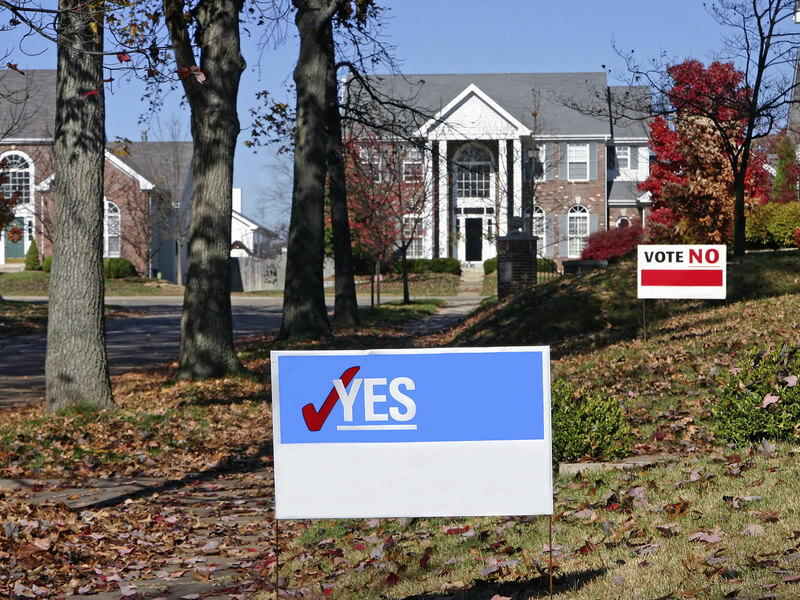 Political yard signs - the most essential promotional tool for the election season - are used for township, city, house of representative & congress elections, campaigns and voting. It’s an affordable advertising tool to reach out and get the word out to community members - the ideal addition to any display space. These tried-and-proven campaign signs are used to encourage people to vote or deter them from voting for the competitor. Moreover, it’s a cost-effective medium to gain attention and raise awareness for the political campaign at the ground level. It is the first and most visible aspect seen on every corner during the elections meant for reaching far and wide audiences out there and pushing the message across - in a word - the keystone- to winning an election. When creating political yard signs for the upcoming elections, consider the placement of the campaign sign with accordance to the local government laws and regulations. With our array of personalized garden signs, you need search no further. Garden signs are used for special events, such as birthdays, weddings, graduation parties or welcoming heroes back home, decorative rider signs, etc. Used for decorative purposes, custom lawn signs add a touch of personality to your outdoor space. These beautifully designed - vivid and eye-grabbing signs with homey messaging create a cozy garden and backyard. You can help relatives, guests, customers find you around with directional lawn signs leading to your home or establishment. Moreover, garden signs can not only guide the guests to the venue but also serve to create festive and welcoming vibe. 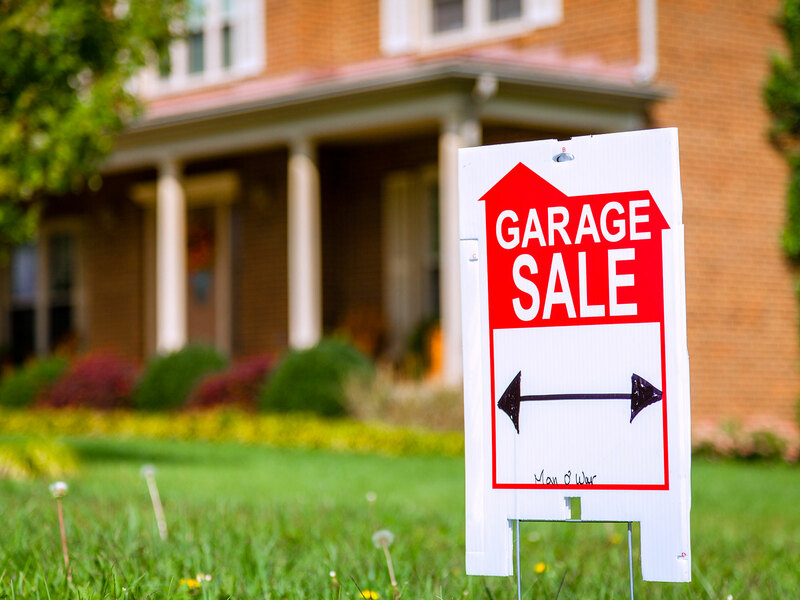 Furthermore, custom garden sign is an affordable yet highly effective promotional tool you can use to inform your neighbors about garage sales. “Garage sale” signs -also called “home-shopping signs” - is a fantastic way to help you make extra money and clear some clutter. Other uses for “garage sale” signs include car washing or repair announcements. Front Signs is equipped with all the cutting-edge technologies that allow to make signs perfectly matching your requirements in custom shapes, colors & sizes. Hence, yard and realtor signs can come from standard and rectangular to custom shapes offered by the customer or our designers. Some real estate signs have extraordinary shapes like house - or - key. Such unusual style of shapes and design help passersby immediately identify the purpose of the signage. This outstanding design draws attention and doubles up the exposure - attracts even more qualified leads. As for directional yard signs, these often have a shape of an arrow pointed towards your target location - your office, home or other commercial or personal property. Signage can come in array of styles like: A-frame realtor signs, luxury hanging signs, ground mounted with H or Spider stakes. All these styles and design options help you get more eyes on your home, hence higher chances for you to land a buyer. Identifies listings - The information on the signs gives an insight on the listing characteristics thus making it more clear and attractive. Draws attention - Imagine the listing with and then without a realtor sign. Signs draw much attention to the property making it stand out in the neighbourhood. Builds reputation - A high quality, informative realtor sign in front of the property talks about a professional company that knows how to work. Superior ability to withstand extreme weather conditions - excellent-quality and durability to resist impact and weather changes when displayed outdoors. There are various types of yard signs with diverse shapes, hence the installation options also vary greatly. Below see a brief explanation of each option. A-frame lawn signs require the most simple installation compared with other types of lawn signs. All you have to do is open it and put it on the ground without any special hardware. When not needed you can simply fold it and store it till next use. Personalized yard signs can also have a hanging construction. The base of such signs can be either wooden or metallic. The supporting pole is fixed into the ground while the sign is hanging from it with hooks, chains or riders. Ground installation is the process of fixing the H or spider stakes straight into the ground. One of the most common real estate sign installation options is through H-frame stakes. As its name implies the yard sign stakes have the shape of the capital letter “H”. 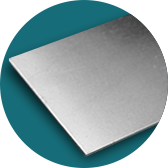 One side of the stakes is inserted into the small holes in the coroplast board, while the other side is into the ground. The construction is pretty simple and lightweight yet steady enough to keep the sign firm in its place. And finally - spider stakes - again installation option requiring little effort. The equipment has two thin stakes connecting in the middle with a thicker stake. The two stakes are inserted into the holes of the coroplast and the thicker stake is inserted into the ground with a slight push. The weight and power of the soil keep the sign secure in its place. 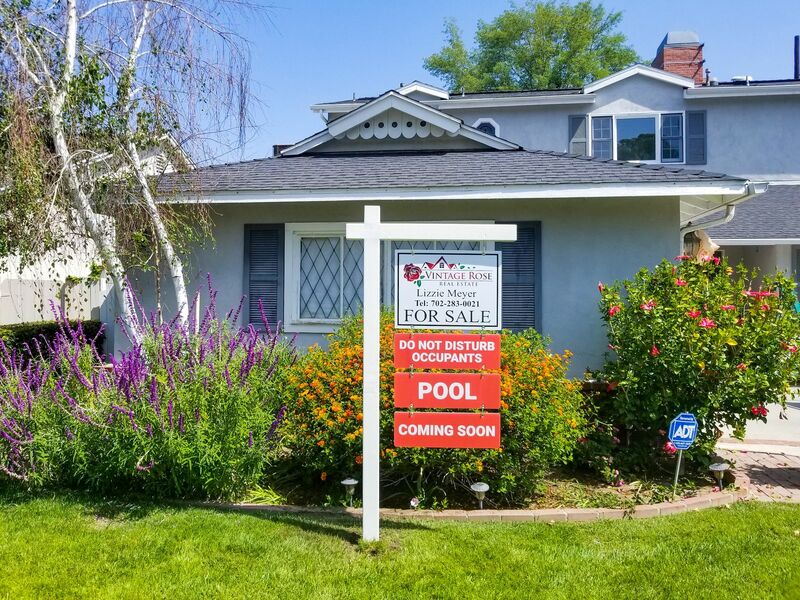 Our crew of professionals is always there to provide you real estate sign installation and house sign placement services all across Los Angeles. 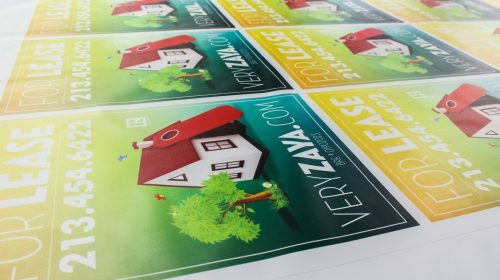 For real estate or yard signs printing, we use only top-notch technologies with LED curing system (dries the inks with ultraviolet rays simultaneous to the printing process). The graphics on the signs are printed on either one or double sides - with UV inks making the graphics sun and fade resistant. Sandwich boards – A-frames are “A” shaped boards that carry any message on them and being double-sided, make the possibilities wider. These signs can be used for restaurant, beauty salons, banks and for many other establishments. Plastic signs are versatile signage solutions for both indoor and outdoor applications. These signs can be used for various purposes, such as decorative, business, promotional, etc. 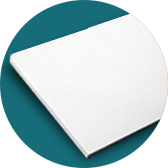 Vinyl banners - In case, coroplast ground signs were not what you were looking for, we suggest Vinyl banners with high accent on the graphics. Displayed on the eye-level, Vinyl banner can carry any promotional, announcing message you’d like. It foremost depends on the material and the style of the sign. Most of our realtor signs made of Coroplast do not require drilled holes as they come with H or Spider stakes. In case of other rigid materials like wood or PVC - the style and your custom requirements determine the need for drills. If not sure, contact our support team to keep you more informed on this topic!